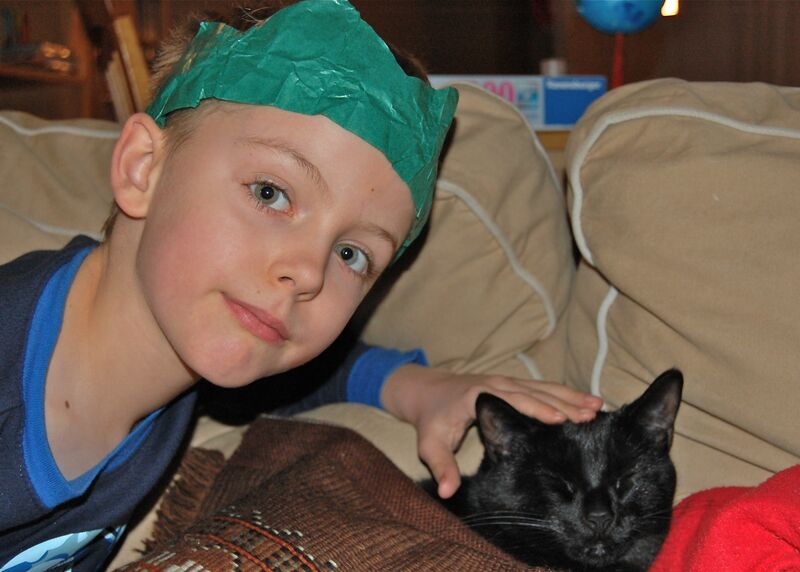 When I look back on Christmas 2011, it will probably be remembered as the last time A believed in Santa. Over the past few weeks we’ve had a number of conversations about the existence of Santa (the word on the playground is the fat man’s a fraud) and I was pretty sure he had crossed over into the world of non-believers. His skepticism disappeared over the last couple of days, though, and he was totally into the on-line Santa tracker and putting out the traditional milk and cookies. Morning came much too early, as it always does on Christmas Day. We managed to delay the inevitable rush to the presents by about half an hour, but eventually we ran out of negotiating ploys and capitulated. 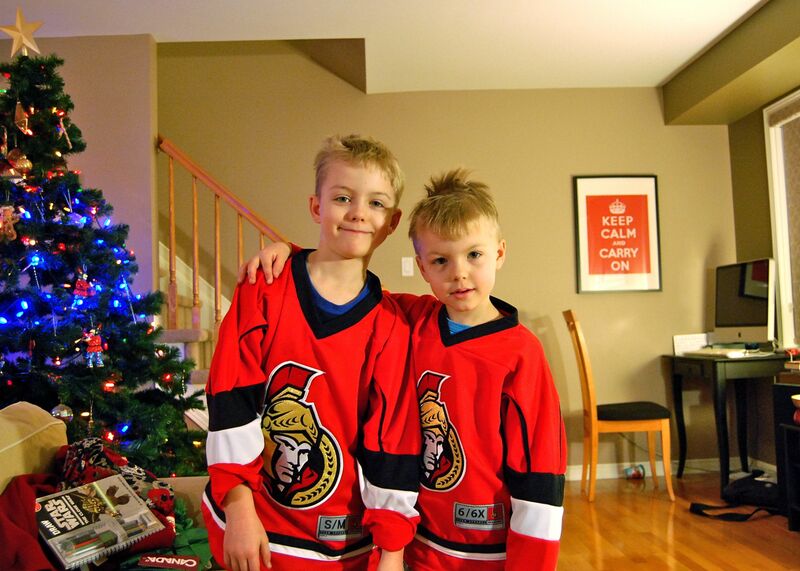 The boys seemed happy with their matching Sens jersey. They also got tickets to the Sens game on January 8th – it will be a nice way to celebrate the last day of Christmas vacation. 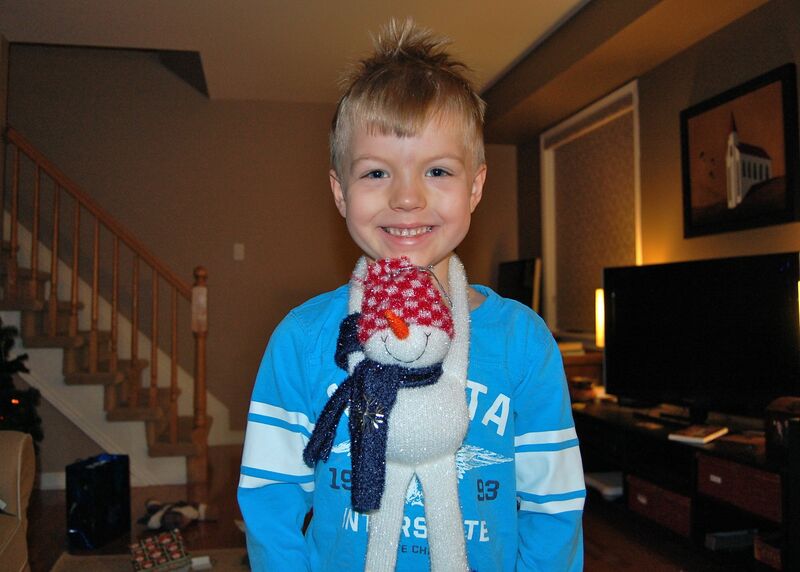 K showing off the snowman he got from his brother, courtesy of the school’s Christmas shop. 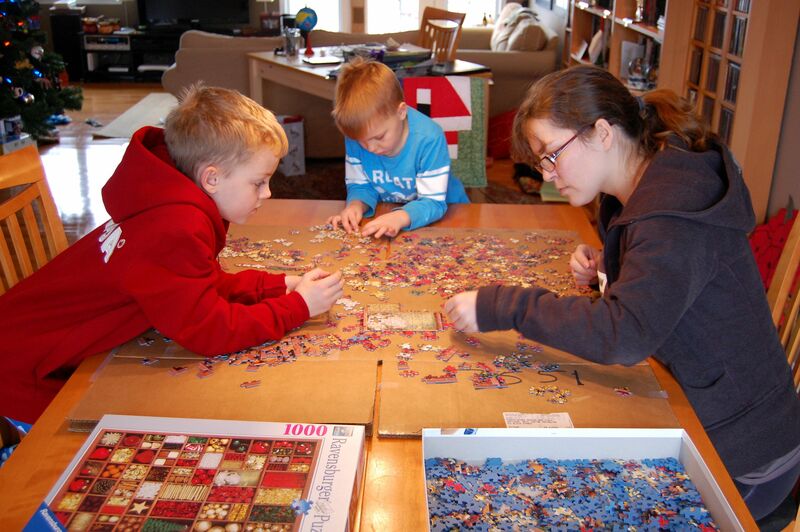 B and the boys working on a 1,000-piece puzzle (this scene of familial bliss lasted about 4 minutes in total before A & K went off to play with Lego). It’s no secret that I’m not a fan of turkey dinners. 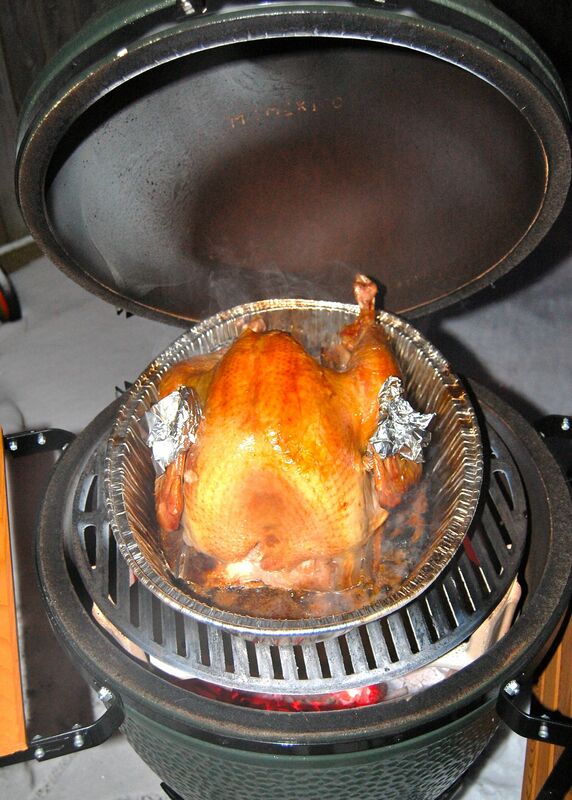 However, I tried something new this year and roasted it in the Big Green Egg. The verdict? Blah. 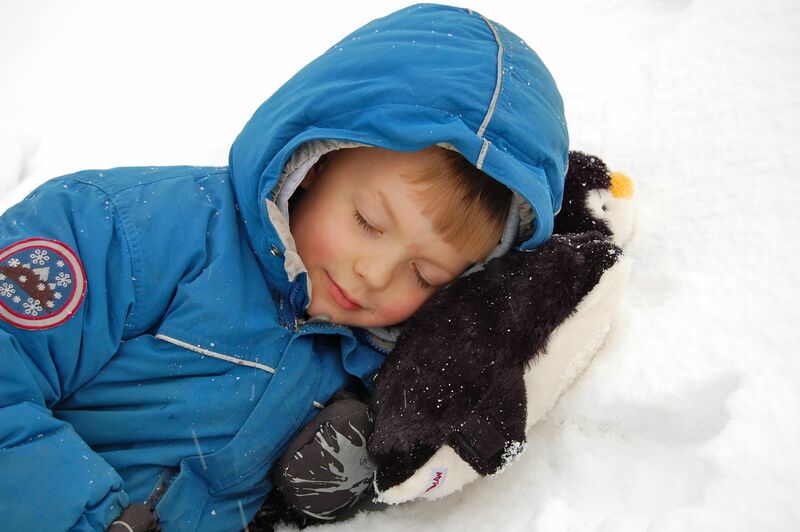 K and I went for a walk with his favourite gift, a penguin pillow pet. Midway through our trek to the RCMP stables he took a break to have a nap on a snowbank (yes, we had a white Christmas after all). Coal spent most of the day sleeping on the couch. It’s probably wishful thinking that the boys would follow his example one of these days. 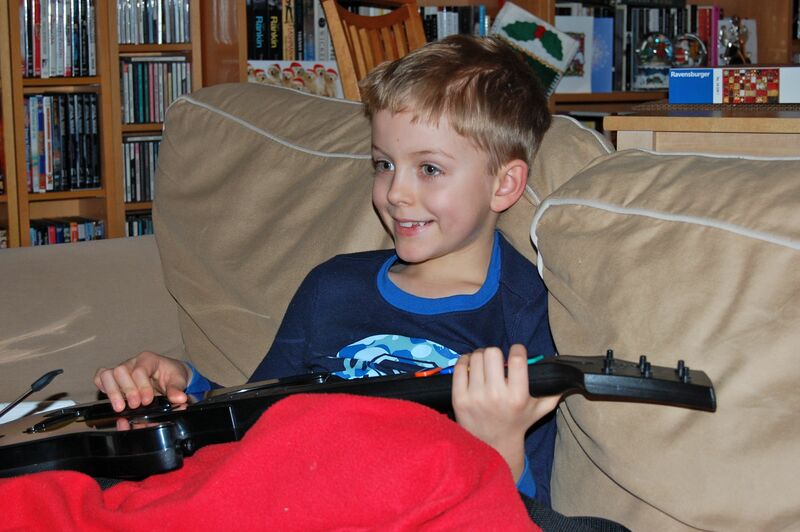 The day ended with a bit of Beatles Rockband. I visited 22 different stores trying to find a second guitar controller for the Wii (including a depressing visit to a pawn shop on Christmas Eve) but came up empty. If you come across one of these relics from the Guitar Hero craze of 2008, give me a shout.